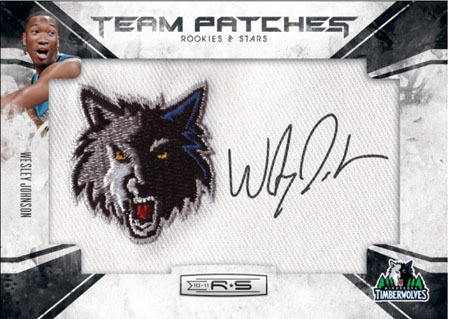 Rookies & Stars returns with a fresh crop of rookie autographs including John Wall, Evan Turner, Derrick Favors, Wesley Johnson, and DeMarcus Cousins. 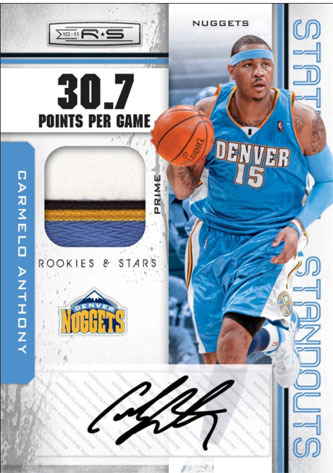 2010-11 Rookies & Stars delivers 4-hits per $80 hobby box. 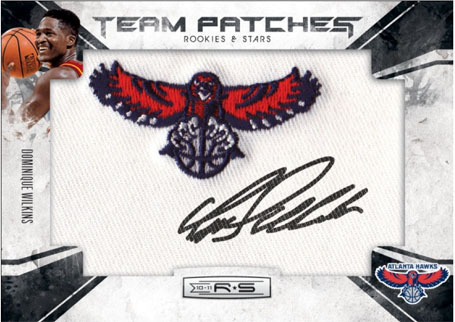 Autographed NBA Team Logo and Logoman patches featuring 40 big name rookies from the 2010-11 NBA Rookie Class. 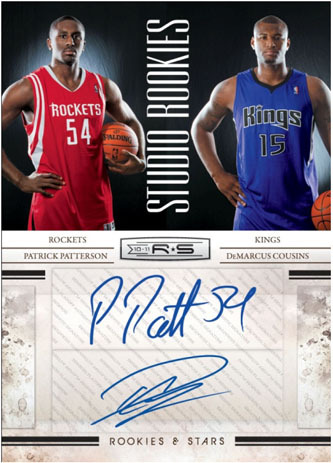 John Wall, Evan Turner, Wesley Johnson, Derrick Favors, DeMarcus Cousins highlight the rookie autograph checklist! 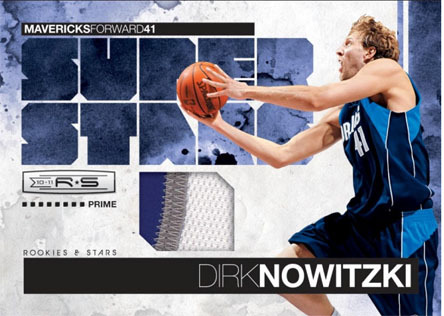 New Game Garb Prime Materials and Game Garb Prime Signatures insert cards display hearty swatches from fan favorite NBA Stars! Hobby exclusive 15-card Sharp Shooters insert set - includes autographed and memorabilia versions! Return of the Moments in Time insert set that captures the some of the most iconic moments in NBA history! 4 1/2 Stars all the way! Leaning twd FIVE!! – – I also like that the BASE set doesn’t go too high, making it fairly easy to build it. And now, with the Jeremy Lin- “Linsanity,” people have gone out & bought up a BUNCH of these packs to find his RC. (I had already found 2 from before anyone knew who he was. Very happy about that!!) This means that a lot more people will be building the set, whether it’s the ones who bought those packs initially ~OR~ people who buy those cards off of them. =) Either way, SPREAD the JOY! !